Exercise Flintlock participants in Ouagadougou had a day of rest May 17 and many took the opportunity to take a tour of the nearby villages of Bazoule and Kokolongho. 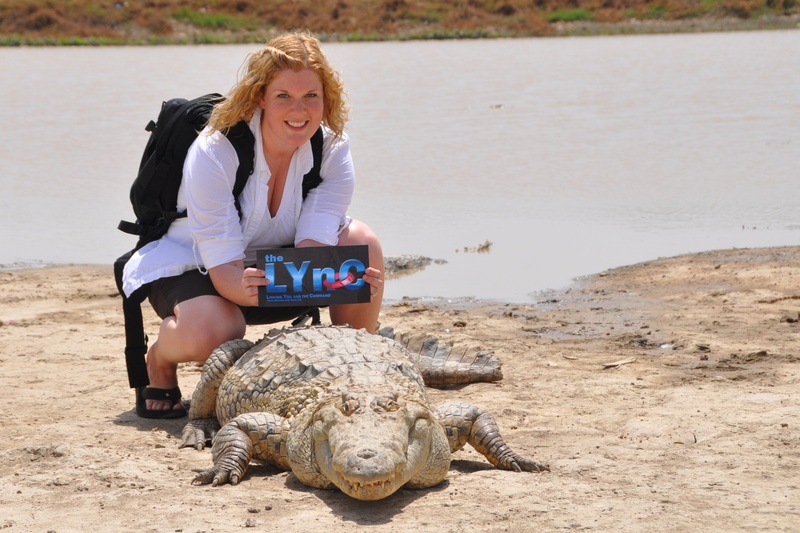 We first travelled to Bazoule to bravely visit their local crocodiles. A dozen or so crocs welcomingly crawled out of the water to greet us upon our arrival. I’m no Steve Irwin and was very nervous to willingly seek the company of these animals. When I saw a child’s sandal (no child) on the ground near the crocs’ pond, I really got nervous. The locals assured us the reptiles were pretty friendly (what I was afraid of–them being too friendly). We fed the crocodiles several small chickens just to be more safe (if that even makes sense). After they had eaten a couple of chickens, I tried my luck and straddled a big croc and sat over him to have my picture taken. I was scared, but I couldn’t pass up the chance to do something so unique. And, of course, I wanted the bragging rights. Then, I made it safely away from “my croc” to watch others being fed. We learned that the crocs were more than just an attraction to the people of the village. The crocodiles were sacred. They inhabited the area long before it was a village. The people there said they think of the crocs as their ancestors and when one dies they treat it as if one of the villagers has died, even holding a funeral. The event was a hit for our group and we all left with a story to tell about the magnificent (and friendly) crocodiles of Bazoule. Our next stop was another sacred place a royal palace in Kokolongho. The King of Kokolongho himself greeted us outside his palace when we arrived. We came into his yard, as he called it, and sat around him and his village’s chiefs to hear about his kingdom. Moognaab a Bagoogo is king of 11 villages – a population of around 55,0000. He told us about his father, Naaba Boulga, who was the 15th king and constructed the palace in 1942. He died in 1985 after serving 55 years as king. He and his wife were both buried in the king’s yard and were shown to us on the tour. Our group also got to see the living quarters of the king and his wife, where her maids cook and prepare meals, where councils were held with the people and disputes between neighbours were heard and resolved. The king and his 11 chiefs invited us to sit again with them after our tour for a drink. It is customary when they have visitors to provide them a drink. We were served a choice of cool water or their special millet beer. Millet, a small-seed grain, is a staple food for the Kokolongho people, along with beans and rice. They also brew it into a light-tasting beer that I found quite good. However, rather than drinking the beer from a typical bottle, it was served in bowls. We had not only learned about the their history and their culture, but had experienced it firsthand by sharing a homemade drink as part the people’s custom. And for me, it was my first meeting with a king. It was a very special day with two unique and new experiences that I am grateful for. 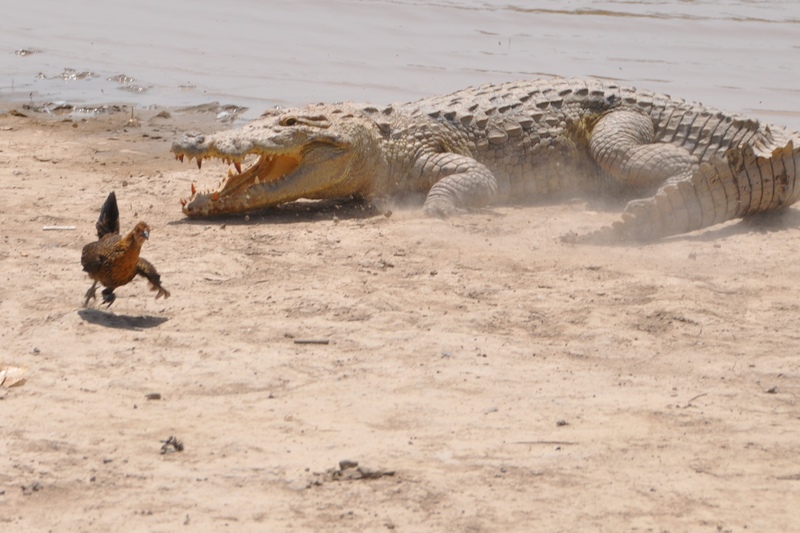 The crocodiles of Bazoule and the King of Kokolongho will remain part of my memories of my time in Burkina Faso.